Inorganic nanofibers are widely used in wastewater treatment for its excellent chemical corrosion resistance and large specific surface area. In order to meet the requirements for high adsorption effect, the specific surface area of inorganic nanofibers needs to be further improved. In this study, internal dense porous SiO2 nanofibers were prepared using the electrospinning technique combined with the anti-solvent method. The effects of receiving distances on the composite nanofibers’ morphology and diameter were investigated. The diameter distribution and pore size distribution of porous nanofibers were statistically characterized. Results indicated that internal dense porous SiO2 nanofibers could be prepared by electrospinning combined with the anti-solvent method. 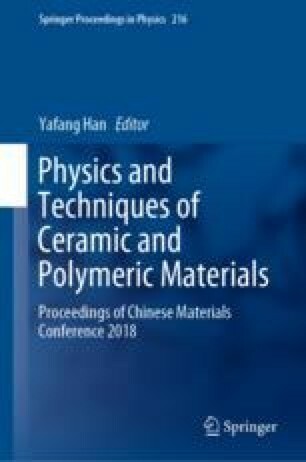 With the increase of the receiving distance from 10 to 17 cm, the average diameter of the PS/SiO2 composite nanofibers decreased from 1264.4 to 766.8 nm. When the receiving distance was 10 cm, the average diameter of the nanofibers was 906.4 nm and the average surface hole was 181.7 nm after calcination. And the BET surface area of the nanofibers was 78.94 m2/g. Such porous nanofibers have potential applications in adsorbents and oil–water separation. The authors would like to acknowledge the support from the National Natural Science Foundation of China (No. 51572217), the China Postdoctoral Science Foundation (No. 2015M582689) and the Postdoctoral Science Foundation of Shaanxi Province (No. 2016BSHEDZZ03).